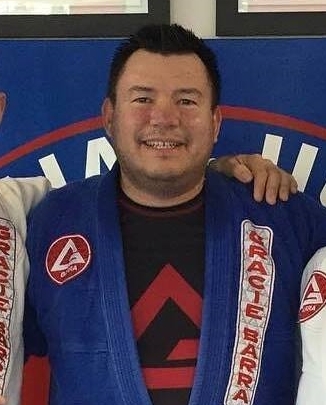 This post is just going to be about some cool jiu jitsu I have learned lately. Not a lot of reflection. But definitely a lot of learning! – Key Lock: So when you get to the mount, which is basically kneeling over your partner/opponent, you isolate their top positioned arm. You push with straight arms down, making sure you have a C grip, not thumbs around. This grip is not really intuitive to me yet, but I am working on it. Once you have the arm on the mat, you leave your left grip on the partner’s wrist, while weaving your right hand under their arm, between their bicep and the mat. You grab your wrist with a C grip and slide their arm down toward their side. If they don’t tap yet, you lift up with your right arm and they will tap soon! Now, this was easy in drilling, and really hard in live training. I was partnered with Big Mike so I literally could not push his arm over. He showed me how to get more torque on his arm and with technique, I was finally able to get his wrist to the mat. Once there, it worked like a charm. – How to defend the triangle guard and choke: I have trained with Andre two times lately. I like rolling with him. He is more advanced than me, by quite a bit. He is strong and technical. The last two times I have trained with him, he has successfully tapped me with triangle chokes. So, after this last time, I asked Coach Turtle to show me a couple of ways to get out or defend. Positioning is key. And not losing my posture – which means to surrender my head so he can sink the choke in deep. I practiced this a bit and unfortunately it was not magic. It took a lot of work and patience to relax, breathe and work slowly to improve my position. That is what makes it difficult. But achievable. I had a good week of training. I rolled hard and learned a lot. I employed the most important thing for me at this point, humility. I tapped when I needed to and stopped when I was gassed. And I learned more. I am thinking a lot about how to relax when I get in dangerous positions. How to be patient and technical. I am grateful for Big Mike, Andre, Coach Turtle, Coach Wojtek, Coach Mike, Kyle, Felix, Lisa, Kyle, and all my other training partners. I am thinking of the sport and looking forward to getting back on Tuesday! !